It was on this date, November 6, 1923 that fire struck the big sawmill at Ray City, GA.
News of the fire was reported on the front page of the Lanier County News, of Milltown (now Lakeland), GA. 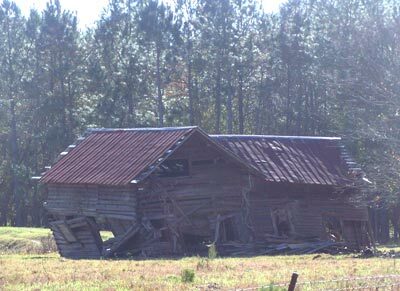 The sawmill owners were nationally prominent businessmen and the story was picked by the Atlanta Constitution. The Jackson Lumber Company suffered a heavy loss when their planning mill, dry kiln, a large amount of lumber and a number of tenant houses in the mill quarters at Ray City burned down Tuesday. By dint of hard work just in the knick of time the main mill was saved from destruction. The fire started at 10:30 in the morning and spread rapidly. The hose available at Ray City reached only half way from the town to the mill, and was not till afternoon, when the Milltown hose was sent over and the fire department from Valdosta arrived on the scene with additional hose that effective work could be done. Had it not been for this timely aid the whole plant would have been wiped out. 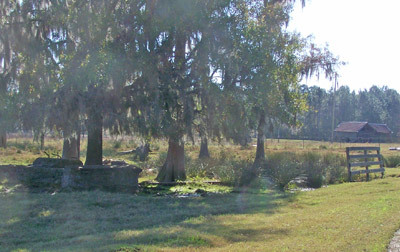 The Jackson Brothers, owners of the Jackson Lumber Company, had purchased the entire mill operation from Clements Lumber Company for $75,000 in cash in what was described as “one of the biggest business deals pulled of in this section in some time.” The Jackson Brothers were no strangers to big business deals, and were among the wealthiest businessmen in the south. Among their other Georgia investments were ownership of Tallapoosa Mills in Tallapoosa, GA and they were major stockholders in Couch Cotton Mill of Atlanta. The Jackson Brothers’ purchase included two weeks run of the mill and all of the lumber inventory. 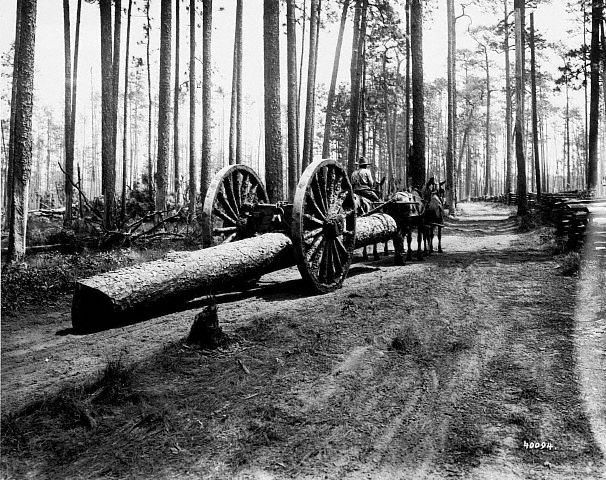 The Jackson Brothers also purchased the ‘Sirman’s Timber’, the largest body of original growth pine that was still standing in south Georgia. Several hundred acres of this timber stand had not been turpentined until 1922. The same timber stand had sold around 1920 for over $100,000 and had been leased for turpentining at that time. 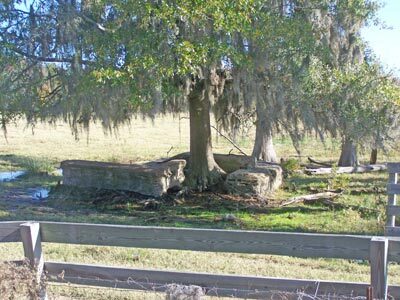 The Sirman’s Timber stood between Milltown (nka Lakeland), GA and Nashville, GA. The purchase was reported by the Nashville Herald on the front page of the February 6, 1923 edition. The Clements Lumber Company one largest and oldest lumber concerns in this section of the state, was sold at Ray City last week by the Clements Brothers to Jackson Brothers, formerly of Tallapoosa, Georgia. The Clements Lumber Company has been doing business in Ray City for twelve years, it was stated by the present owners. The Jackson Brothers are mill men of considerable experience. They were formerly in the cotton mill business. They are said to have paid $100,000 and will assume charge of the plant at once. The new owners have bought the Lon Fender timber tract, which Mr. Fender bought more than a year ago from the Sirmans estate. It is one of the finest timber tracts in this section of the state. This with the other timber insight affords at least five years running yet, and there is more to be had, it is said, that will run them ten years. The Clements Brothers have not decided yet what they will do in the future. The Jackson brothers took charge of the mill in the first week of March, 1923. They had been operating a cotton mill in San Antonio, Texas which they sold to return to their former home in Georgia. 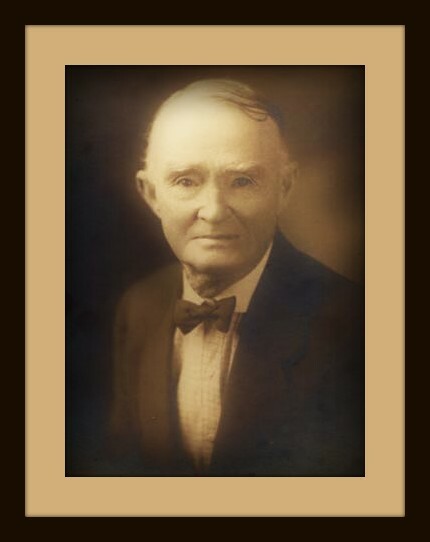 Justin C. Jackson became the president of the Jackson Lumber Company making his home in Valdosta, GA. Jackson Lumber Company made no immediate changes in the crew operating the sawmill at Ray City. They planned to begin sawing the Sirman’s timber just as soon as the turpentine lease was up. Unfortunately, just eight months later on the afternoon of November 6, 1923 disaster struck. A fire broke out at the Jackson Lumber Company that threatened to consume the entire operation. According to the Atlanta Constitution, the Ray City Fire department responded – running a fire hose from the town to the sawmill, a distance of one mile. But there was only enough hose on hand to reach half the distance to the mill. The Valdosta Fire Department sent a unit with additional hose to fight the blaze. By the time the firefighters from Valdosta arrived , the dry kiln, planing mill, several employees’ cottages, and 150,000 feet of lumber had already burned and the flames had reached the sawmill. They quickly coupled their hoses to the line that had already been laid by the Ray City firemen and carried the line on to the mill. The firefighters were able to save practically all of the sawmill itself, but the damages were estimated to be $50,000 dollars. The plant was insured and it was expected that the mill would be rebuilt. The Atlanta Constitution reported the $50,000 loss in a page 21 story in the November 8, 1923 edition. The Nov 8, 1923 edition of the Atlanta Constitution reported the sawmill fire at Ray City, GA.
Claudie Royal was born May 7, 1893, at Rays Mill (now Ray City), GA. 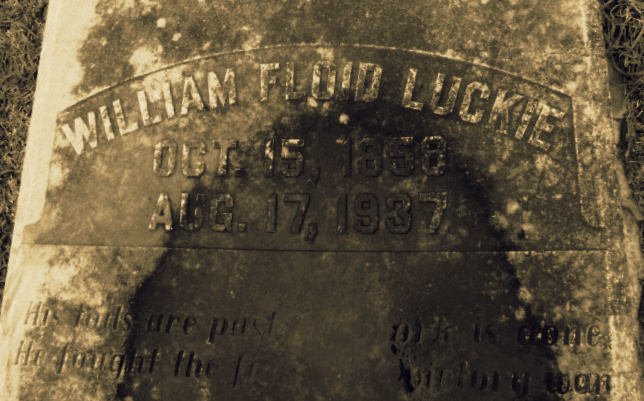 He was a son of William Frank Royal and Mary Jones. His mother died when Claudie was about one year old. 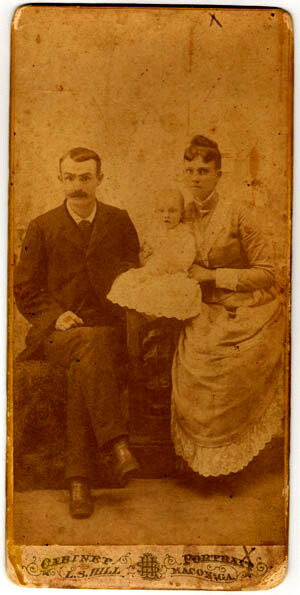 When Claudie was about 4 years old, his father married Arletta Ganos and moved the family to Clinch County. In 1920, Claudie Royal and his wife, Thelma, were living in Ray City, GA in the home of his father-in-law, Bill Cole. They all lived in a house on Jones Street. The Cole household at that time included William M. “Bill” Cole, his wife Hattie, and minor children, Clarence, Leroy, Clyde, and Irene. Claudie Royal and Bill Cole were sawmill employees. There were several smaller sawmill operators in the area but from about 1909 to 1923 the big sawmill at Ray City, operated under a succession of owners, was the largest employer in the area. 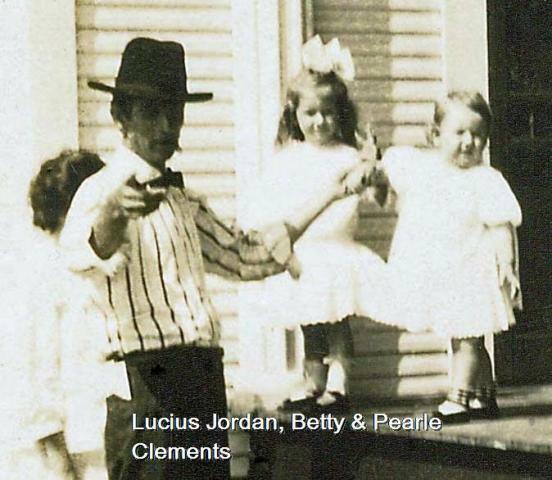 In 1920 it was the Clements Lumber Company. Claudie worked as a “skidderman,” while Bill Cole was a wheelwright. As a wheelwright, Bill Cole worked to build and repair the wheels used on horse- or mule-drawn wagons and carts used in the sawmill operation. The wheel hubs, spokes, and rims were all constructed out of carefully crafted wooden pieces. 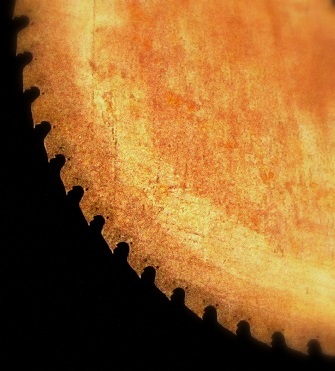 The wheel assembly was banded with an iron “tire” that was custom made by a blacksmith. Working as a skidderman, Claudie Royal drove a team of horses or mules, using a skidder to transport logs. The skidder dragged logs from where they were cut the short distance to the tracks of the railway tram, where they were loaded and hauled to the sawmill. According to U.S. Bureau of Labor Statistics 1918 publications, in Georgia a skidderman worked a 60 hour workweek, for a wage of 22.5 cents an hour, or $13.50 per week. The workweek was six 10-hour days. Skiddermen used two wheel carts, like the Perry Cart, to drag felled logs to the tracks of a railroad tram for loading and hauling to the sawmill. This cart has wooden wheels with steel “tires” 4 1/2 to 5 1/2 feet in diameter. Construction and maintenance of wheels such as these would have been the work of a wheelwright. Log Carts. — In all types of carts the logs are swung beneath the wheels with the rear ends dragging on the ground. The height of wheels ranges from 5 to 10 feet with a corresponding variation in gauge. A cart used in the Coastal Plain region has an arched axle and wheels 4 1/2 or 5 1/2 feet high. The hounds of the cart are fastened on either side of the tongue by a heavy bolt. A bunk rests on the top of the axel and carries two upright guides between which the tongue fits. The latter is held in place by a spring latch. When the cart is to be loaded it is driven up to one end of a log, then backed until the axle is directly over that part of the log to which the chains or grapples are to be attached. The latch on the guides is then released, the team is backed for a step or two and the hounds are forced into a position nearly vertical, which turns the bunk through a quarter circle and brings it near enough to the ground to permit the grapples or chains to be attached. The elevation of the log is accomplished by driving the team forward, which brings the hounds and tongue to a horizontal position. – Bryant, R. C. (1923). Logging: The principles & general methods of operation in the United States. S.l. : s.n..
Sliptongue skidder working in the south Georgia pine forest. Hauling logs by mules. Ocilla, GA. Grave of James Claudie Royal and Thelma Cole Royal, Beaver Dam Cemetery, Ray City, GA.